Verbena bonariensis makes a gajillion knots of tiny purple blossoms all summer long, and then it reseeds itself lavishly as a gift to the new year. It's one of my favorite flowers. 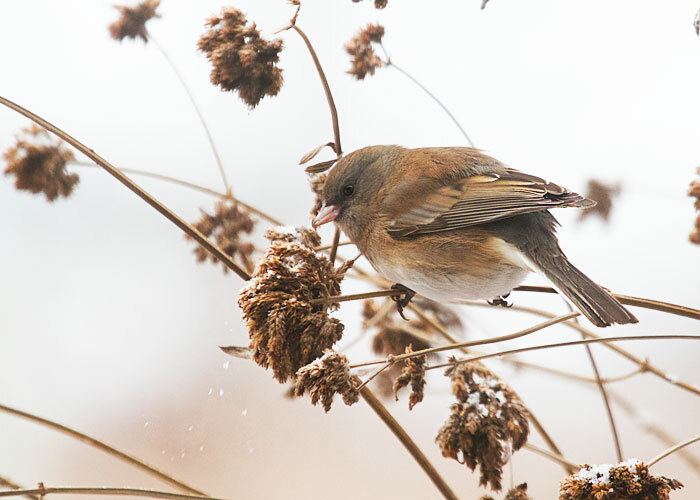 The juncos love it also, but more, it seems, for its seeds in winter than for the blooms of summer. Nearly every winter morning, a few bluebirds drop in for a drink.